Year round. Spring and early summer are the very best time for high and low level routes. 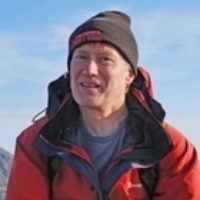 Mountain routes under snow require winter hillwalking experience, clothing and equipment. Aberfoyle, Callander, Lochearnhead, Killin, Tyndrum, Crianlarich, Loch Lomond side, Arrochar, Lochgoilhead. 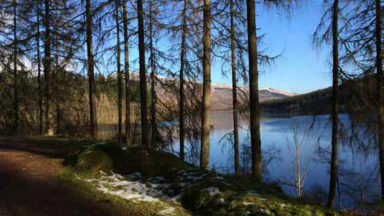 Daywalks can be reached by car from Glasgow, Stirling and Edinburgh. 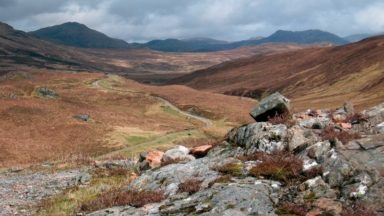 Routes (which are graded 1-5 for difficulty) for all abilities, from woodland and lochside routes, to long mountain days, some of which are on rocky ground. The summit of the Cobbler is an exposed scramble. Ben Lomond. Arrochar Alps and The Cobbler. Oakwoods of the Trossachs. Ben Lui. The Cowal peninsular, and the Fairy Knowe at Aberfoyle. Guidebook to over 70 walking routes in the hills of Loch Lomond and the Trossachs National Park in Scotland's Southern Highlands. 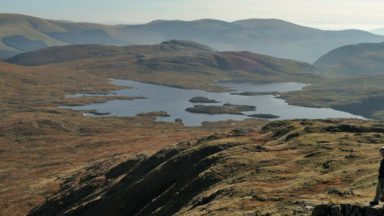 Including 21 Munros on less-popular routes, as well as plenty of Corbetts and Grahams. 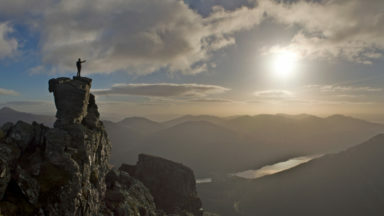 Hill summits of Ben Lomond, the Cobbler, Ben Lui and the Arrochar Alps have plenty of routes to explore. 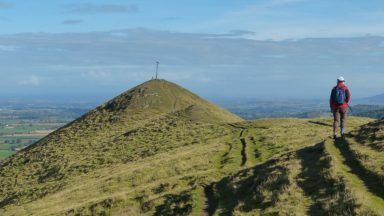 The routes in this guide range from 1 to 17 miles, and are clearly graded for distance and difficulty, as well as dividing between low-level, mid-level and mountain walks. From short, loch-side strolls suitable for all walkers, to long, challenging mountain routes with rocky scrambling, the Loch Lomond and Trossachs hills have plenty to offer. 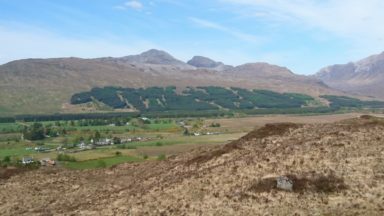 The glens and mountains walks in this guide are divided into area: the Trossachs, Callander and Loch Lubnaig, Balquhidder and Lochearnhead, Crianlarich to Inveraran, Tyndrum, Ben Lomond, Loch Lomond West, Arrochar Alps and Glen Croe to Loch Goil. The hills and glens of the Trossachs and Loch Lomond are the first of the Highlands as you come from the south and first in the affections of many hill-goers. Slightly less savage than their northern counterparts, they have a rugged charm all of their own. Their ridges are wrinkly schist and grassy picnic places, their lower slopes are oakwoods and ferries cruise the lochs in between. This guidebook includes plenty of background information on the area, as well as practical information on getting to and around the region's walks, as well as advice on accommodation, what equipment to take, when to go, as well as interesting details on the schist rock that makes the hills, and important information on access in the hills and on Scottish estates.